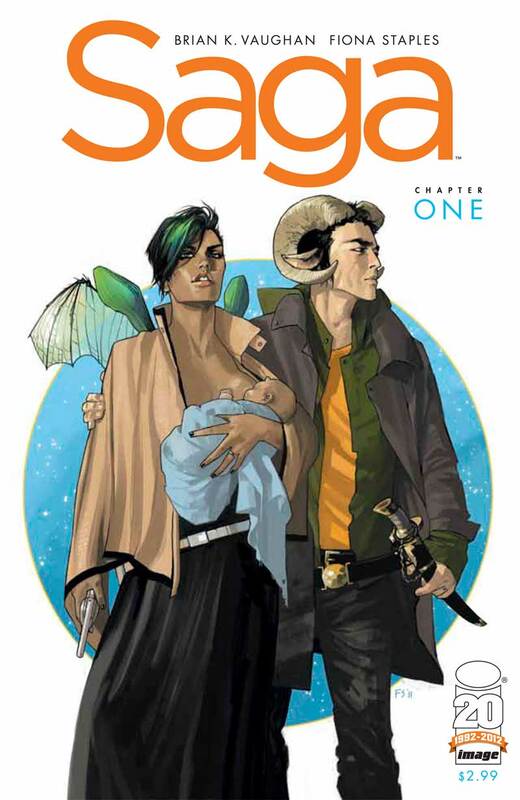 Saga marks the return of Brian K. Vaughan to the comic world. Vaughan has written comics for both Marvel and DC, but he is mostly known for his work in the Eisner Award winning Y: The Last Man. Y is a post-apocalyptic sci-fi series about the only man to survive the simultaneous death of every male mammal on Earth. 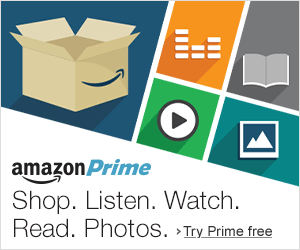 (Yes, it is as awesome as it sounds!) He has also worked on Pride of Baghdad, Ex Machina, and Runaways, as well as the ABC TV series Lost. People have described this book as “Romeo & Juliet meets Star Wars” (Blew my mind). As you can see by the cover, the story starts with Marko and Alana as they bring a baby into this warring galaxy. The story is being narrated by the child, kind of like a reverse version of How I Met Your Mother, but focus’ on both parents and their battle through this world that doesn’t want them together. Along with this great story, this 44 page Deluxe issue is beautifully illustrated, while a bit graphic in some instances Staples does a great job filling each panel with intensity and emotion. This book is a must read! If you are a fan of star-crossed love stories, science fiction, fantasy, magic, bare boobies, great storytelling, and outstanding artwork, Saga #1 is for you! Go to your local comic shop or where ever you can get comics and pick it up.